Our Journeys and Yours was previously published as a Four Corners SCI Chapter newsletter. 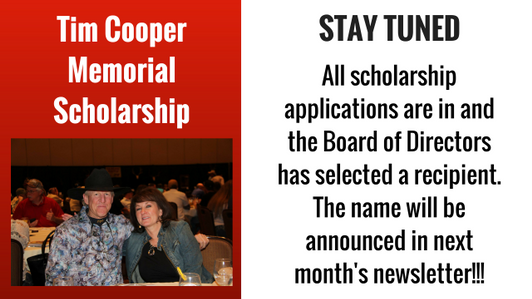 If you are not receiving the newsletters and would like to be added to the list, please let us know. 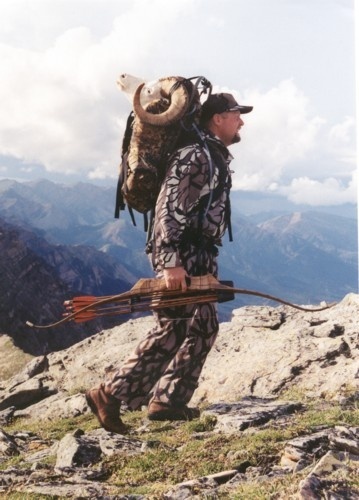 Meet archery hunter, mentor, writer, husband, father and grandfather, Lew Webb. He is one of your Four Corners SCI Chapter Board Members and is an elected Director at Large for Safari Club International. This month Lew is headed to Washington DC for the SCI Board of Director’s meeting. While he’s there, Lew will be visiting our legislators on Capitol Hill, as well as having many committee meetings and participating in Board elections. What travels do you have this summer? Tag us on social media or email us pictures from your hunts, fishing trips, and other adventures. We’d enjoy featuring them in the future. Send us an email at fourcornerssci@gmail.com. 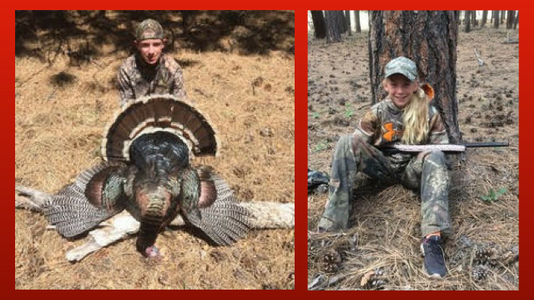 2018 Banquet/Fundraiser item – Youth Turkey Hunt, presented by Dancing Pines Ranch. I want to thank you for supporting the Four Corners SCI Chapter by donating a youth turkey hunt for the Spring of 2018. We were very fortunate to get the winning bid for the Dancing Pines Ranch Youth Turkey Hunt. I could not be any more pleased with our overall experience. They were very accommodating, friendly, knowledgeable, and genuinely interested in the success of my son Tyler (14-years-old) and my daughter Maci (11-years-old). We were able to hunt a total of four days. With the high number of turkeys and excellent habitat, we had shooting opportunities each day. On the first evening, we got to the ranch, and we counted over thirty turkeys in one group. The first day of our hunt we saw tons of turkeys and probably heard over 100 gobbles. Maci got a shot at a nice tom at around 10 yards from the blind but missed. She was very excited, and this was her first hunt ever with a shotgun. Her prior hunting experience consisted of shooting prairie dogs with a .22 Long-Rifle. The second day of our hunt, Tyler and I set up under a large pine tree, and early that morning we had a tom with a few hens come in, but they stayed just out of range. He ended up shooting a nice tom at about 35 yards later that morning. The third day Maci and I set up in one blind and Tyler went across the field to another blind. He could see turkeys coming toward us before we could, and we had a good time signaling back and forth. “Three turkeys coming in at 11’oclock.” I said to Maci. We had a strutting tom at about 25 yards late that afternoon but decided not to take the shot. She was not comfortable shooting through the fence. Meanwhile, at the blind Tyler was in, there were over 10 toms and jakes right next to his blind, and they stayed there for over an hour. Of course, luck would have it that these birds would stick next to the blind where the tag was already filled. On the fourth and final morning of our hunt, Maci and I set up under a tree in a meadow and put out a hen decoy, and began calling. A single tom came right to us. He stopped at 30 yards, and I told Maci to wait until he was just a little closer. He got about 20 yards from us but never stopped. He had come in so quickly that we never got completely set up and ready to shoot. I tried to stop him, but he just walked a little faster. That afternoon, we rode around with Jon, the ranch owner, in the ranger looking for turkeys. We saw turkeys everywhere we went, but they were always one step ahead of us. We never got an opportunity to set up for a shot. I think Maci enjoyed riding with Jon about as much as any part of the hunt. Thanks again for providing an opportunity to hunt turkey on Dancing Pines Ranch. I really enjoyed the time spent with both of my kids, and the number of turkeys we saw was incredible. We had a great time. THANK YOU!!! !